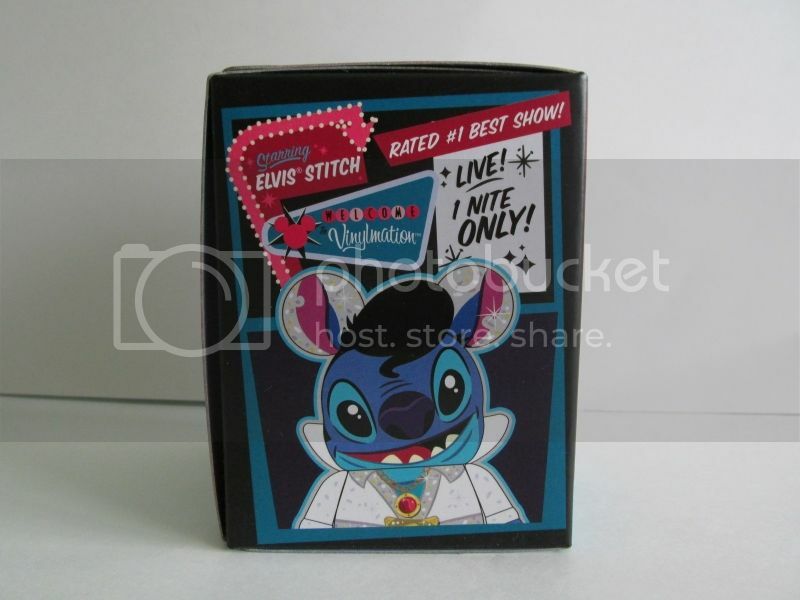 First off, you can only buy this vinylmation of Stitch at the Disney Store in Las Vegas. 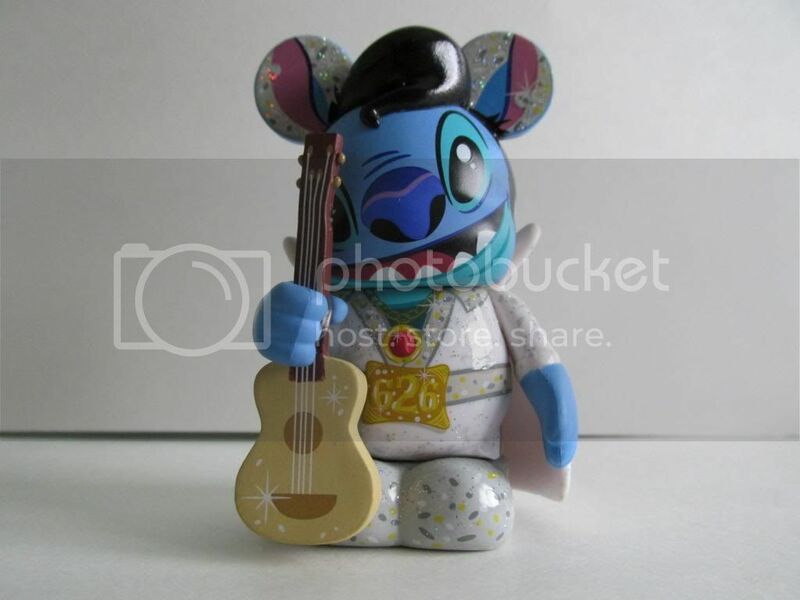 This is their city exclusive and will not be available anywhere else except on ebay, where the prices for this can be double the MSRP. 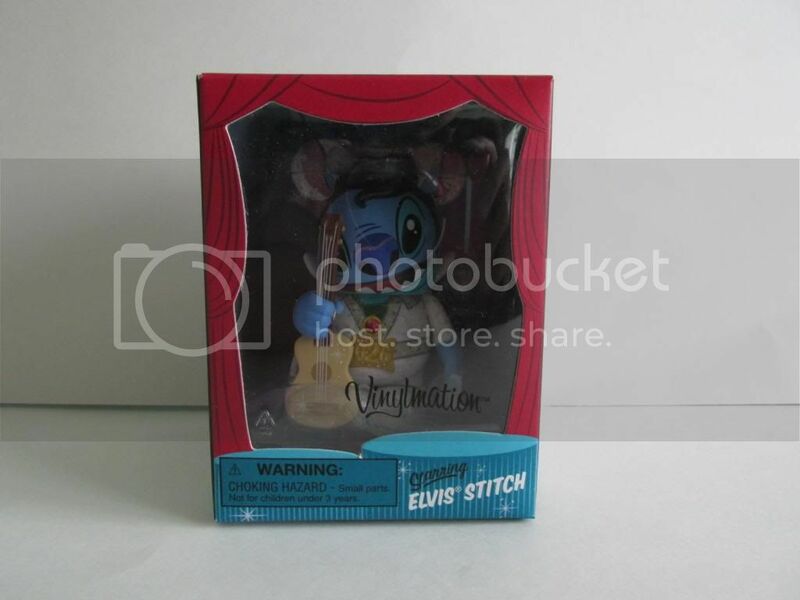 From what I understand, this exclusive has sold out at their stores in the past month so be aware this maybe a hard vinylmation to track down. 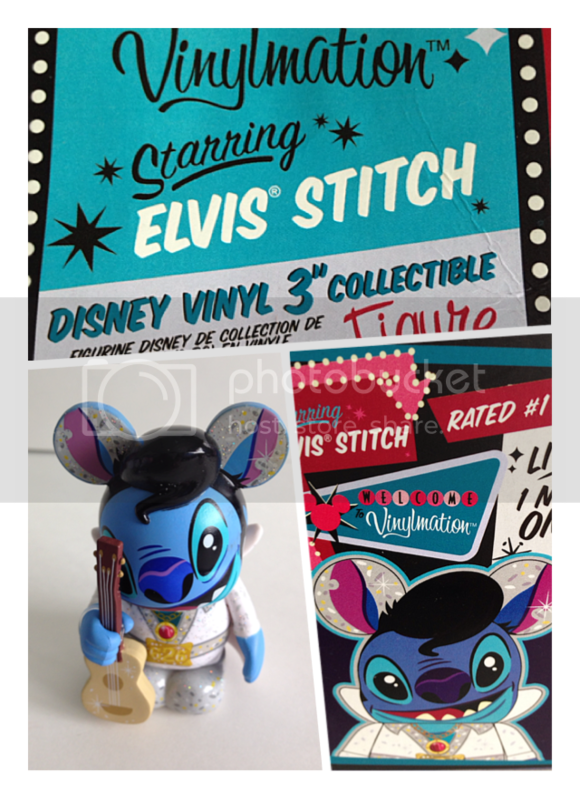 The sculpt on this features a special Elvis styled hair sculpt that hasn't been seen on any other vinylmation as of yet. It looks great and seamlessly fits the figure well. 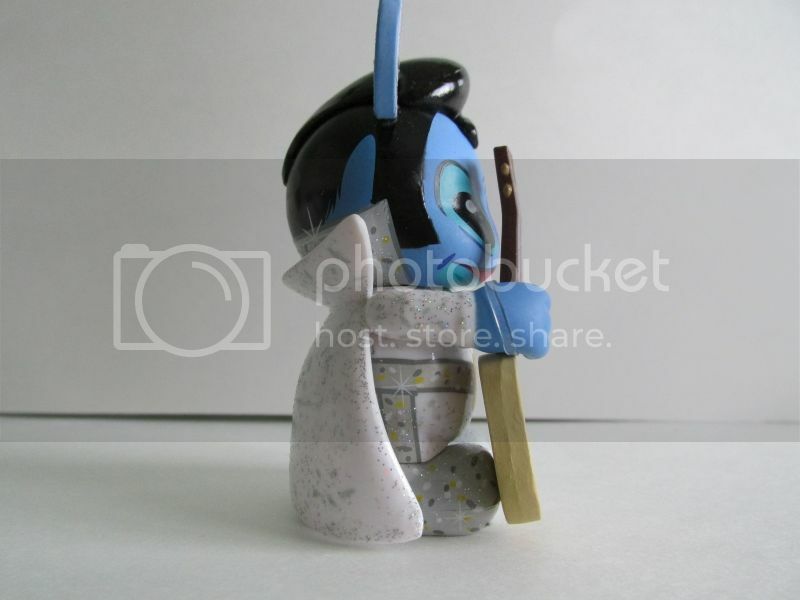 The paint apps on this are also great and feature glitter all over his costume. The great thing about the paint is that this glitter won't come off onto your hands like so many other glitter paint apps on other toys you may buy at this price range. 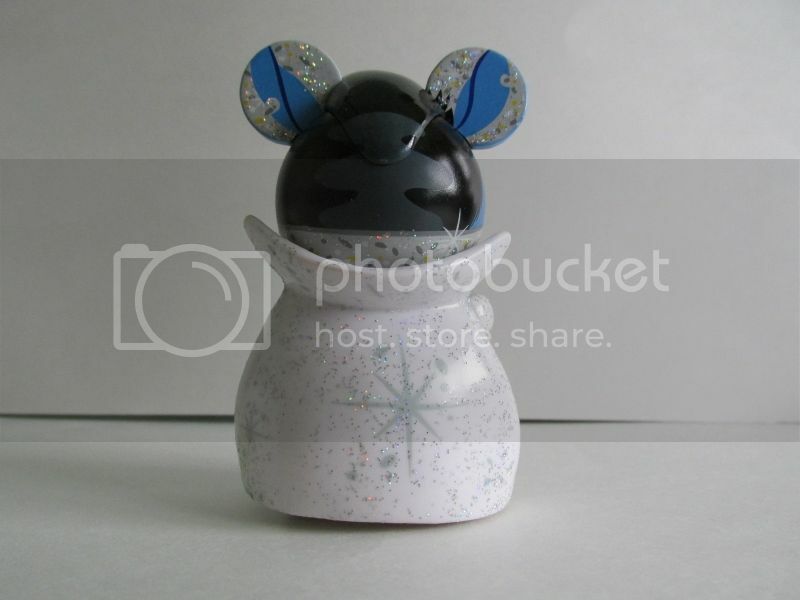 He also comes with a cape that as far as I know hasn't been seen on any other vinylmation to date. This cape really makes him look and feel like the King. 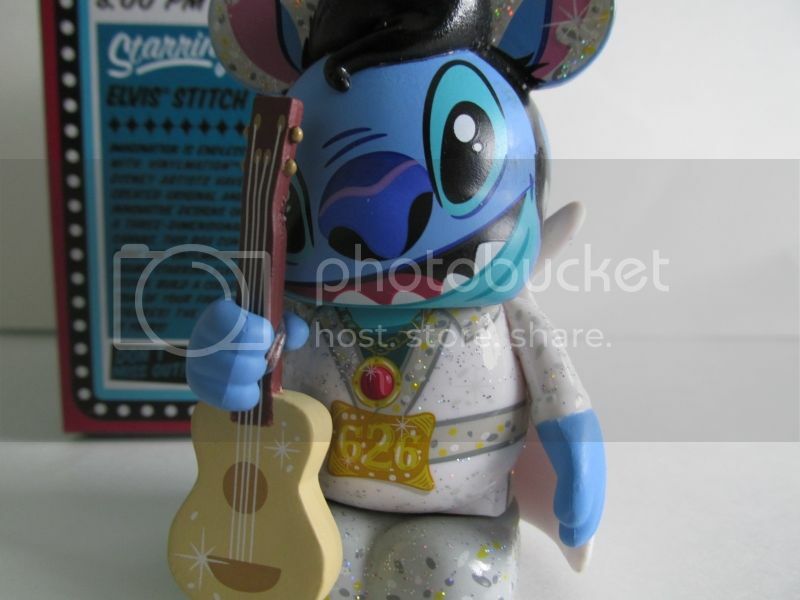 He does also come with a guitar with some great sparkly paint apps to help make the guitar stand out. The guitar is held to the hand with a clear rubber band. You can take it out of his hand, but I chose to leave it since he will be displayed holding the guitar. 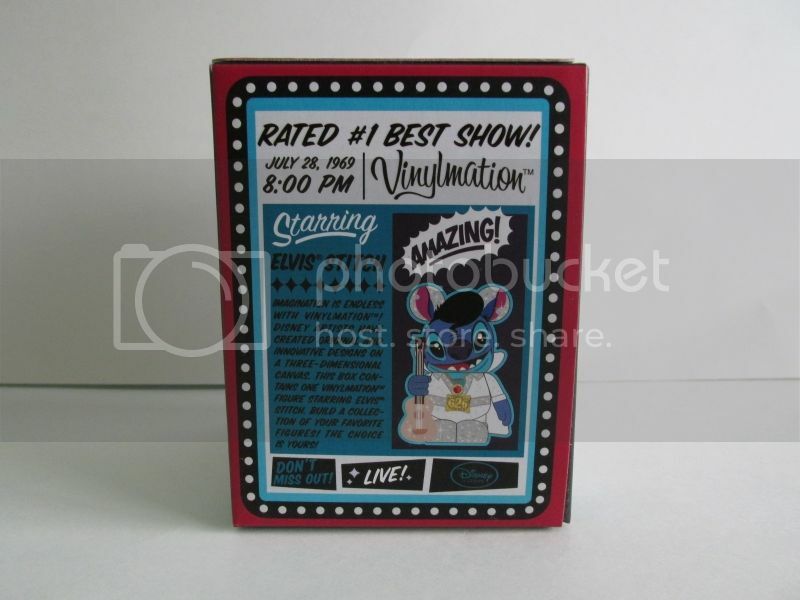 I am really impressed with this vinylmation figure, and, in my mind, really sticks out among the other vinylmation releases in recent years. 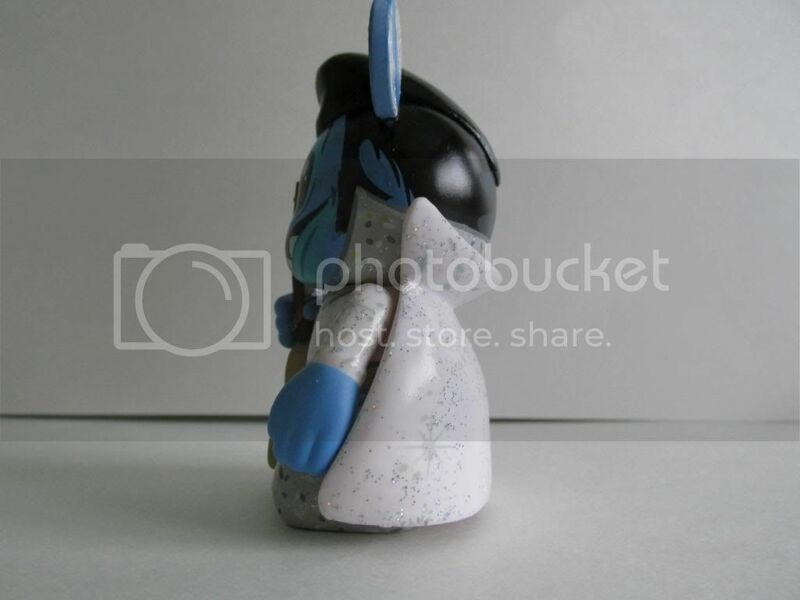 It is nice to see brand new features and sculpts just for this figure. 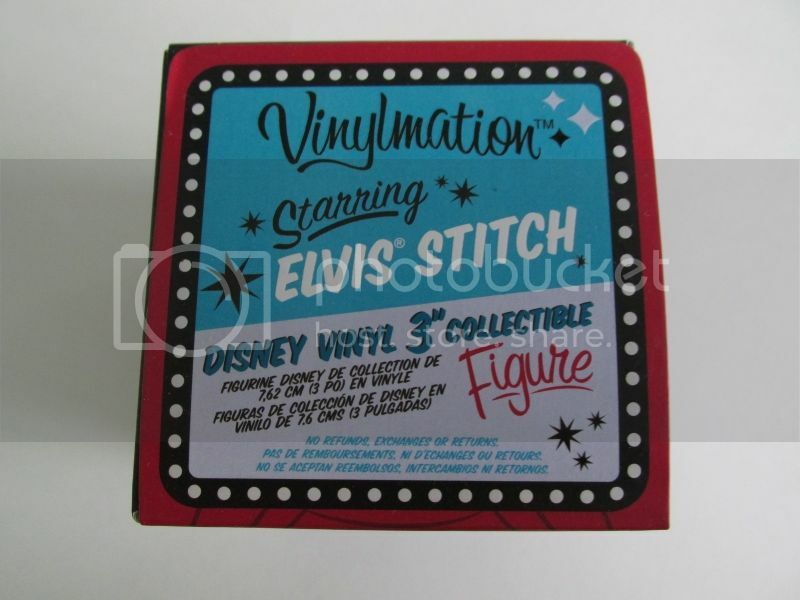 If you are into vinylmation or a big Stitch fan like me, then I recommend acquiring this collectible. 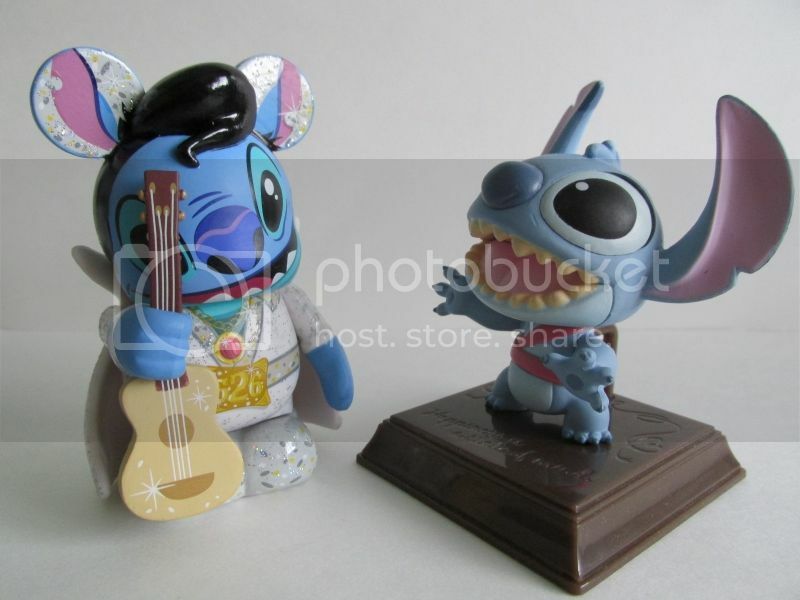 A great companion piece to this vinylmation is the Lilo and Stitch two pack only available at the Disney Store in Hawaii. Until next time, happy hunting! Online Booking and Ecommerce Responsive Website Design, development Services.